In this lesson, we will learn how to use the properties of addition and multiplication to solve problems, including real-life situations. 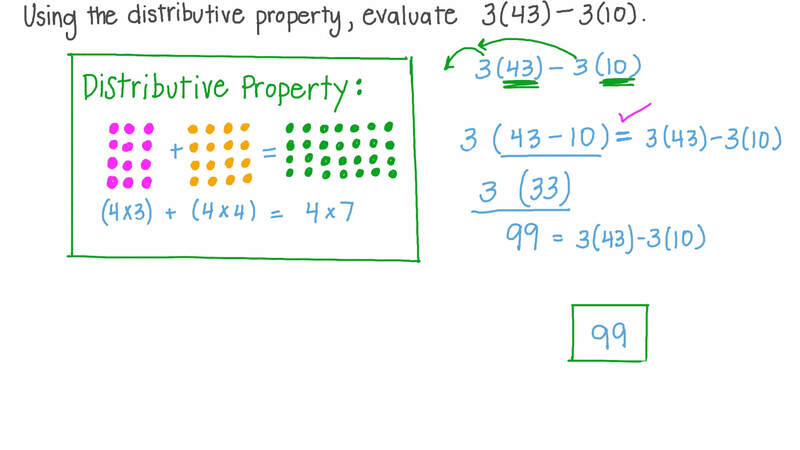 Rewrite the expression 1 9 ( 3 4 + 2 1 ) using the distributive property. 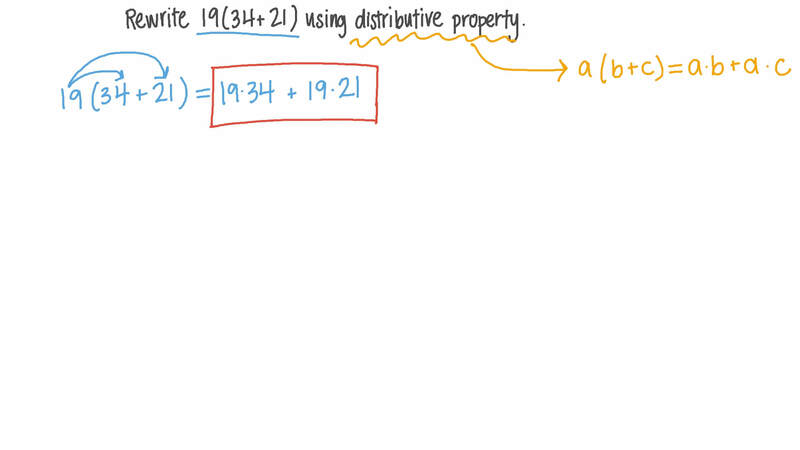 Using the distributive property, evaluate 3 ( 4 3 ) − 3 ( 1 0 ) . Dina has not been using the elevator at her building for eight weeks. She climbed up and down 354 steps every day for the duration of that period. Use the distributive property to determine the number of steps she climbed during that period. Which of the following expressions is equivalent to 2 𝑎 + 2 𝑏 ? 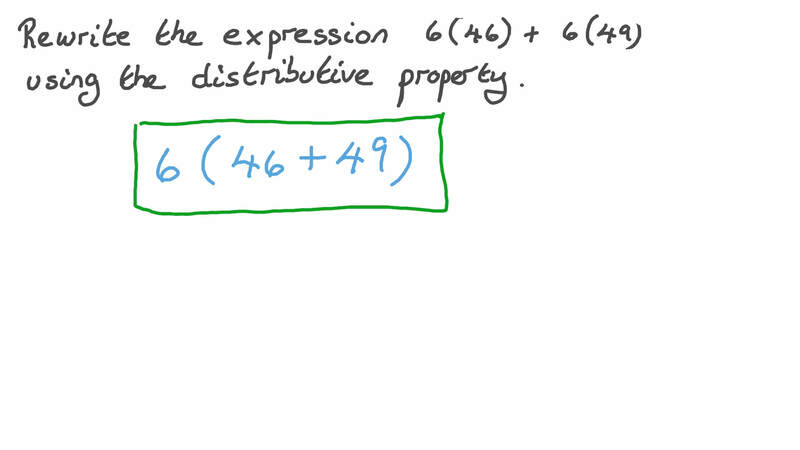 Use the distributive property to rewrite the expression 1 0 ( 4 7 ) − 1 0 ( 5 ) . Use the properties of real numbers to write an expression equivalent to 3 ( 6 𝑎 ) that does not use parentheses. Each morning, Shady runs for 12 minutes and does push-ups for 22 minutes in the park. Use the distributive property to determine the total number of minutes that Shady exercises in 2 days. Mr. Maged and Mrs. Nabil want to take their students to the zoo. The tickets cost $9 each. If Mr. Maged’s class has 16 students, and Mrs. Nabil’ class has 24 students, use the distributive property to write a mathematical sentence to express how to find the total cost of tickets in two ways.